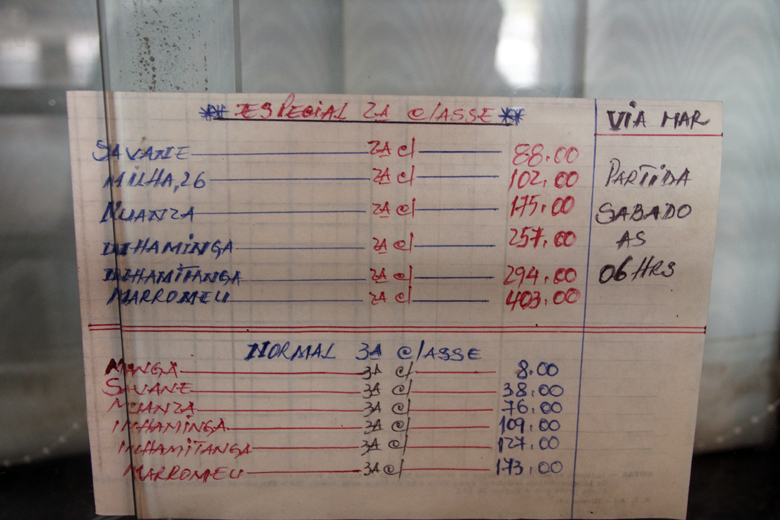 Doesn’t offer much in the way of passenger trains but does now run through all the way from Beira – Moatize since February 2012. 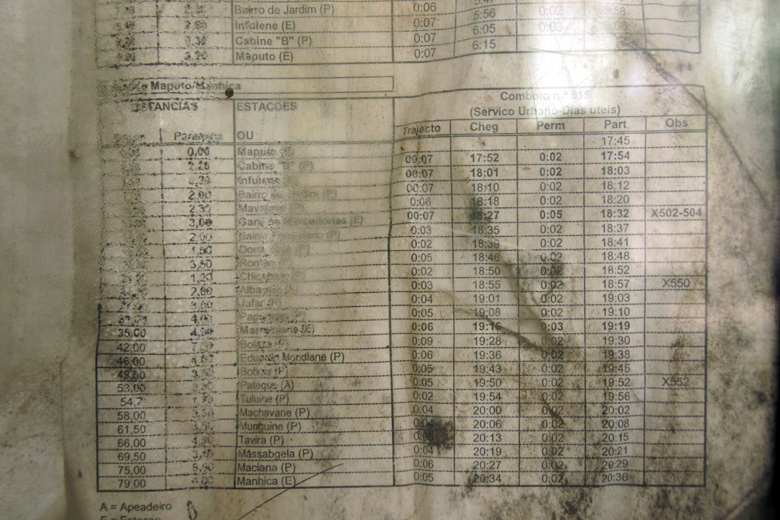 Although there is supposed to be a Beira – Dondo commuter train this didn’t run on the Tuesday we were there, so maybe it doesn’t run on the day the Moatize does? 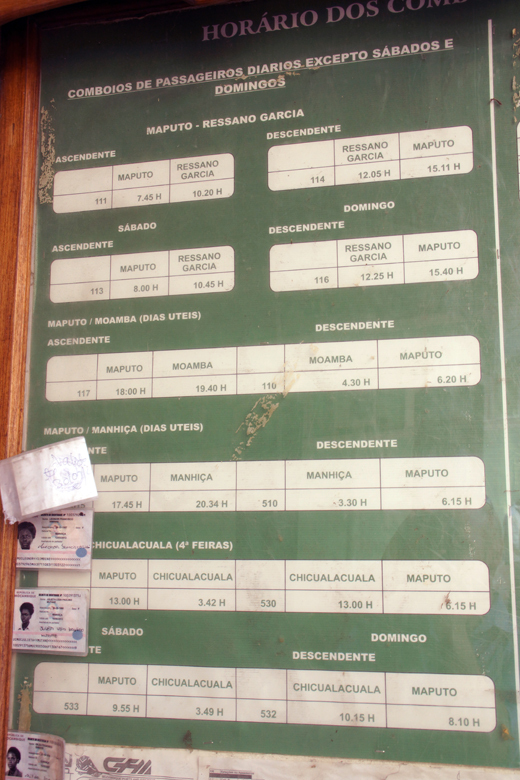 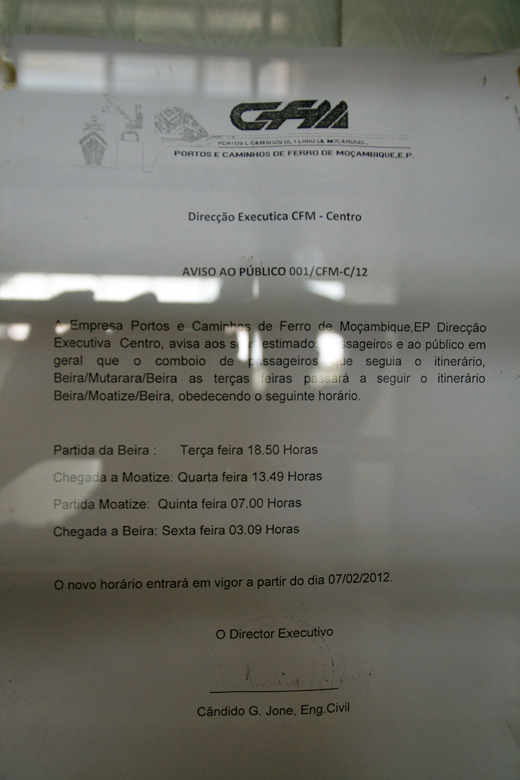 Tickets in Maputo are based on zones with MT5 increments. 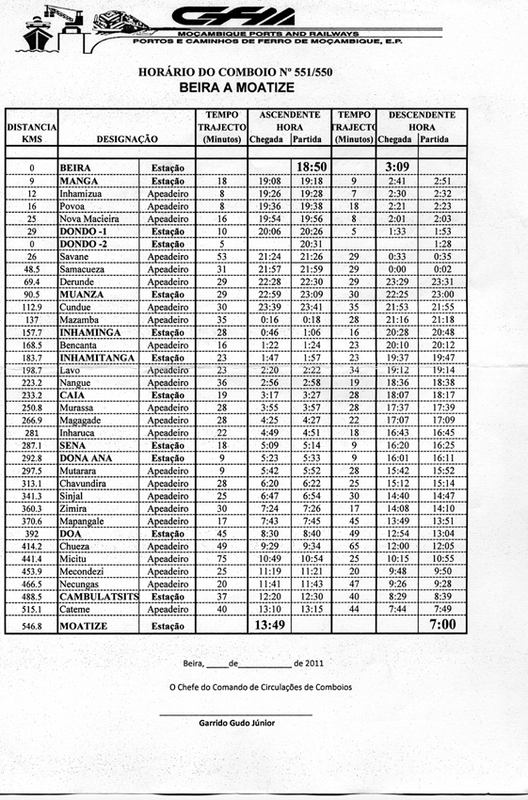 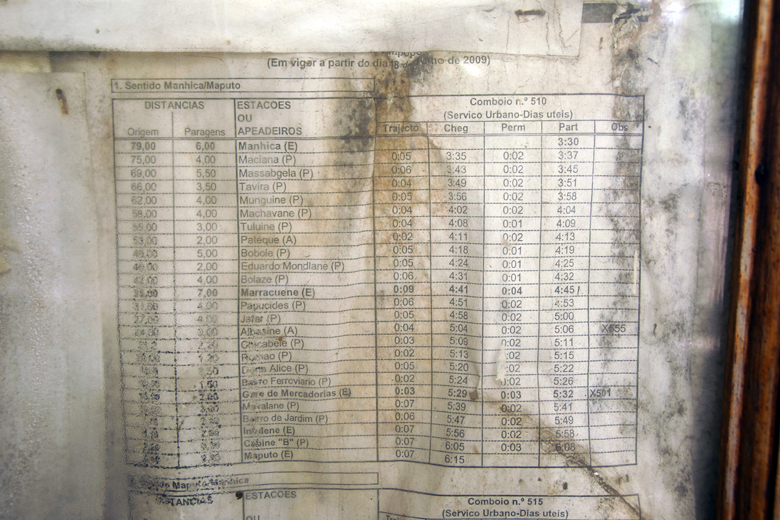 For example Maputo – Matola is MT5 and Maputo – Ressano Garcia is MT15, both in 3rd class. 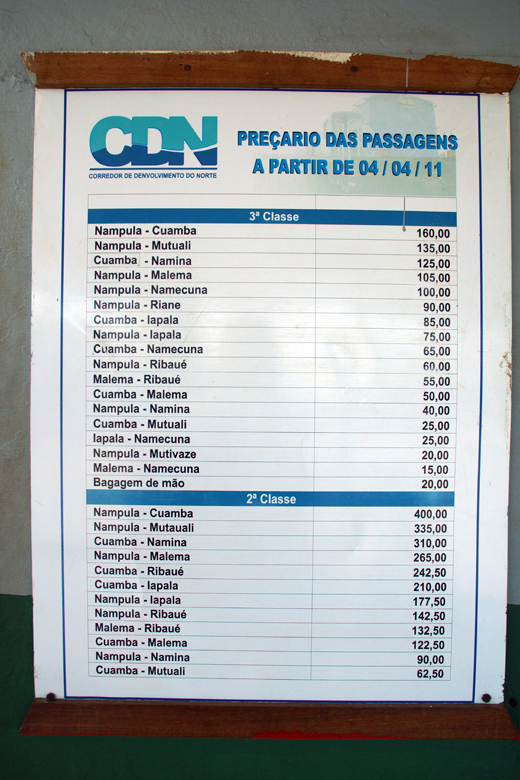 They can be bought at the booking office or on board the trains. 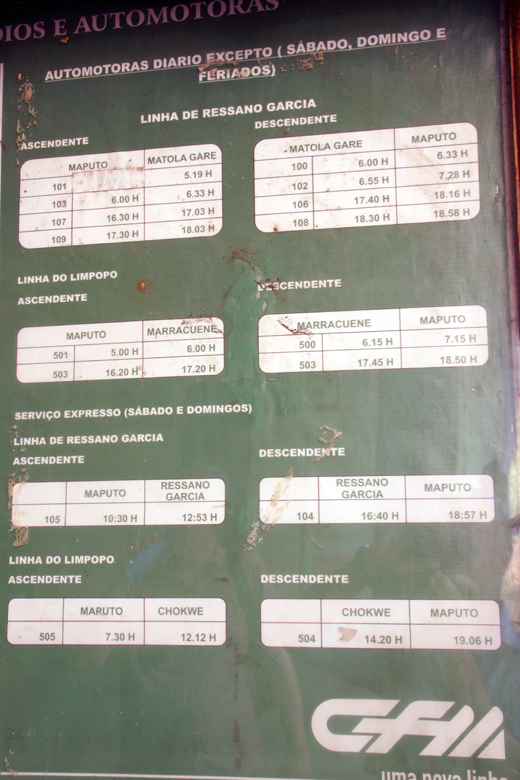 For a comprehensive list of train times in Mozambique see the Fahrplancenter website but read it with the above information until updated.